A letter arrived in the mail yesterday for Liz Pozniak….a ticket voucher from Qantas and an apology for her nervous time on board QF6 , the second of their aircraft to have had an engine burst into flames within a week. Pozniak, returning home after a business trip to Asia, told J-Wire of her experience on board QF6 on November 4…one day after an engine on one of the national carrier’s A380s caught fire. 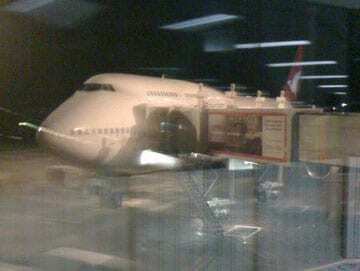 Pozniak, a corporate trainer who had been working in Bangkok, Manilla, Jakarta and Singapore said the plane’s passenger cheered and clapped when the plane touched down at Changi Airport in Singapore. Instead of an anniversary weekend with husband Sheldon in Sydney, Pozniak spent an unscheduled two days with friends in Singapore before returning home. 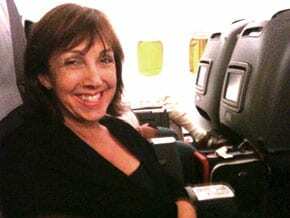 She said that Qantas had offered counselling…as well as the $1200 ticket voucher.